Kallista Primary School accepts students in all year levels. We welcome prospective families and encourage you to contact our office to make a time for a tour of the school with our principal. Parents wishing to enrol their child for Foundation, are encouraged to tour the school from Term two in the year preceding their child’s enrolment. We have a comprehensive transition program to ensure a smooth progression from Preschool to Primary School. Click here to contact the school office today. Why Choose Kallista Primary School? Kallista Primary School is located in the beautiful Dandenong Ranges National Park, only five minutes from Belgrave. We provide a safe and secure school environment, founded on our values of Respect, Trust, Compassion, Creativity and Perseverance. Our teaching and learning program is based upon the Victorian Curriculum, which recognises the importance of creating schools in which children are happy and develop resilience and self-confidence. 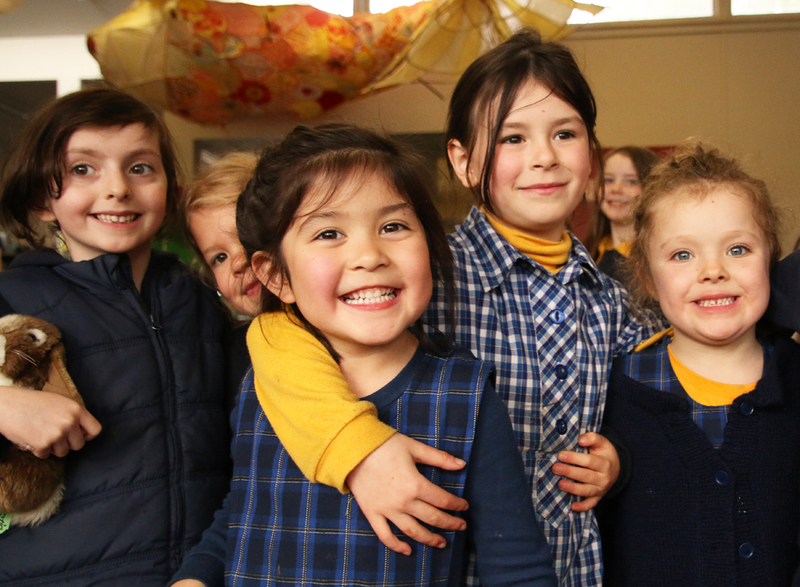 Kallista Primary School is a happy and caring school, where we model respect, and teach values and positive behaviours throughout classrooms and in all aspects of school life. Within our students we seek to develop curiosity and a readiness to learn, the skills to think critically and to appreciate life, the confidence to try new things and the resilience to persevere. We provide a range of authentic leadership roles and responsibilities across the school, such as School and House Captains, Kallista Student Representatives, Monitor roles, and the ‘Buddies’ program. Our weekly assemblies are student led and our senior students also organise term sporting days and special fundraising days for worthwhile causes. Children at our school learn through a balance of explicit teaching and purposeful inquiry learning. Our students develop skills, knowledge and understandings across the Victorian Curriculum, with a strong emphasis on developing sound foundations in literacy and numeracy. Classroom teachers at our school use ongoing assessments of student learning to inform their teaching, using this knowledge to teach students at their point of learning need. Opportunities for extension and intervention in student learning takes place within the classrooms where Individual Learning Plans are developed for students operating above and below the Standards. In special cases, intervention programs are provided such as Toe by Toe and Bridges for Literacy, and QuickSmart for Numeracy. We also have caring and experienced Education Support Staff assisting within classrooms. Our students enjoy the health benefits of playing together in spacious natural surrounds. The playground encourages social play, creativity and exploration through our ‘Playpod’ construction activities at lunchtimes. Students also enjoy developing their strength, agility and sporting skills on the oval, basketball & netball courts, and on purpose built play equipment. Both in the classroom and through a range of extra-curricular activities, students are able to explore their unique talents and interests. The Arts feature strongly at our school, with our biennial school production being a celebration of music, song and dance involving students from Prep to Year Six. Students participate in Japanese, Music and Art lessons; learning recorder in Years 3 and 4, and Japanese drums and marimba in Years 5 and 6. Physical Education lessons are also offered weekly at our school, and senior students participate in sporting events in our district, including friendly competitions, where they can test their skills against other aspirational sporting students from other schools. We take an integrated approach to using technology throughout the curriculum, including a STEM program incorporating coding and robotics club at lunchtime and in class lessons. Healthy living is a key educational outcome of both our Physical Education and Sports program, and our Stephanie Alexander Kitchen Garden program, where students learn about planting, harvesting and cooking in our purpose built kitchen and flourishing garden. A secure and successful transition from preschool and to secondary school, is supported by our school through a range of transition activities that enable children to become familiar with their new settings before they begin the new year. Students, staff and parents enjoy our school’s strong sense of community. Our collective mission is to create an environment where every child learns to their full potential, and is happy and healthy. Kallista Primary School- a place where everyone learns!